Days after Israeli officials claimed Iran had no presence in Syria, Israel attacked an Iranian military base near Damascus. As the mainstream media focuses on President Trump’s latest Tweet, his administration continues to support a close ally that appears to be pushing for yet another war. Israel has reportedly attacked an Iranian military base in Syria. According to a report from Ynet News, the attack was reported by Arab media outlets on Saturday. They claimed that Israeli fighter jets launched air-to-surface missiles from Lebanese airspace, targeting a town near Damascus. Syrian sources claimed the attack caused power outages and explosions before Syria’s air defense system thwarted three of the five missiles. The existence of the military base was apparently revealed less than one month ago by a BBC report, which included satellite images of several buildings—some new and some renovated. 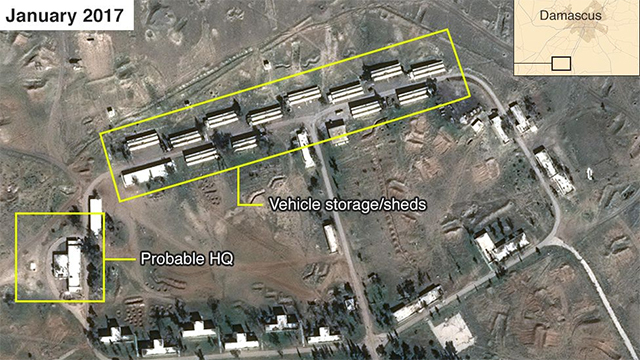 However, it was not confirmed as to whether the buildings were being used by the Iranian military. Videos have since emerged on social media purporting to show the moment one of the Israeli missiles was intercepted by Syrian Air Defense. Less than one week ago, Israeli Defense Minister Avigdor Lieberman made it sound as if there was no threat whatsoever of Iran building or occupying military bases in Syria. “There is no Iranian military force in Syria. Iran is not on our border. It’s true that there are some experts and advisers, but there is no military force there,” Lieberman told Ynet News. 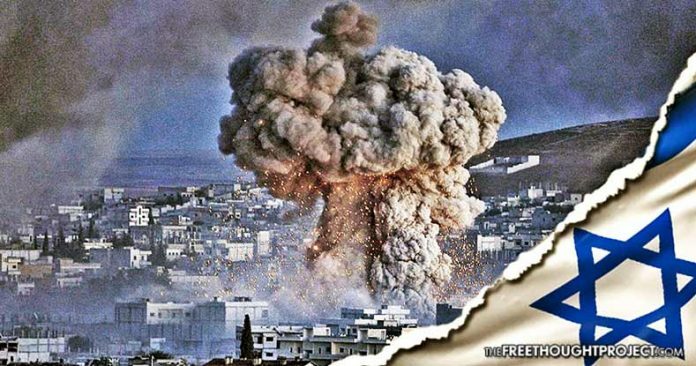 Even if Israel warned Iran against their military presence in Syria, it was still never confirmed that the military base Israel targeted was being used by Iran. Antiwar.com reported that while Israeli media initially reported on the attack, those reports were removed within hours. “This isn’t entirely unusual within Israel, as the military censors often compel the media not to report stories. It is unusual, however, for them to let the story out and then recall it after the fact. The Israeli diplomats were instructed to demarch their host governments over the domestic political situation in Lebanon—a very rare move.